Oxfam Knowledge, Attitudes and Practices Survey on Gender Based Violence in 6 districts of Tajikistan: «A woman must tolerate violence to keep her family together». This was the answer of 97% of men and 72% of women - Each 3rd NOW! 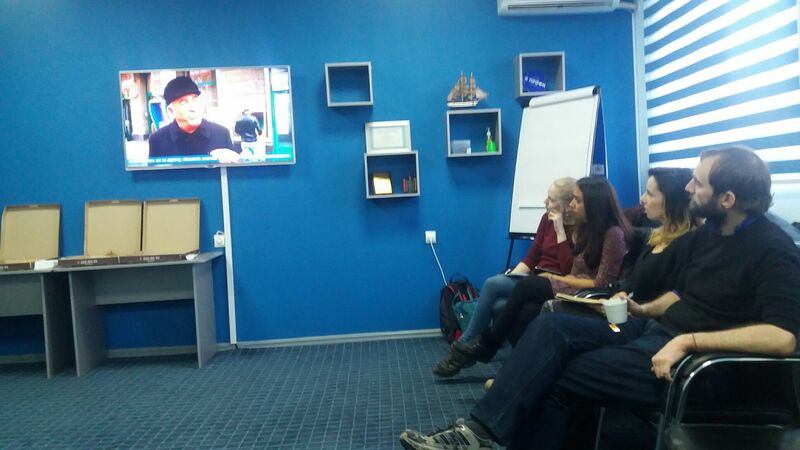 Gender KAP Survey of Oxfam GB in Tajikistan, conducted by Z-Analytics Group, has re-boosted hot discussions on violence against women issues in Facebook and on the national radio channels during the UNiTE Campaign. 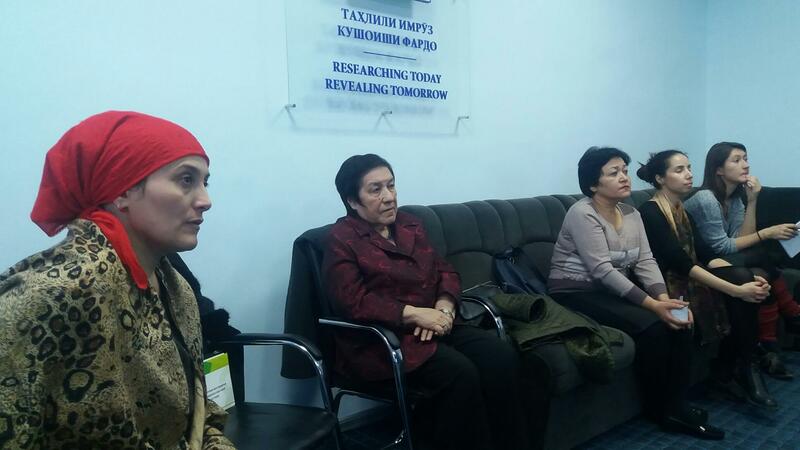 The audience could not believe that high number of people in Tajikistan justify, tolerate or ignore cases of gender based discrimination. In order to tell about the survey, to clarify the obtained data, and to attract attention of the citizens and national experts to the problem, the Research Company Z-Analytics Group, jointly with Oxfam GB in Tajikistan, have conducted the press-conference. The event opened with the video of UN and State Committee on women and family affairs on staged scene of beating a woman in the street by her husband and the reaction of the passers-by. Out of all scene witnesses, only 2 men intervened to stop violence! After the video, researches and Oxfam Gender Coordinator briefed the audience on the key data obtained through the Oxfam survey and opened discussion on practical ways to eliminate patriarchal stereotypes. On the photos: Attention of the audience is caught by the cases and figures of Oxfam survey on gender based stereotypes, existing in the target Tajik districts.